I know the winter has been kinder than in recent years… we’ve not had too much snow to contend with… but it’s cold, it’s dark, the days are short and quite frankly it can do one! This is the time of year when I know I get to a point where I’m demotivated, I want to hibernate and come out when the sun shines through my window on a morning instead of bleak, cold darkness. 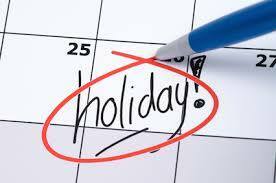 Christmas is over, for me my birthday has been and gone… so I’ve not got anything to look forward to until I book a holiday. Fortunately, we have just booked up to go to Mexico for 8 days… halle flippin’ lujah!!! Have you hit that sticking point where you want to hibernate too? Other than work you can’t quite decide what to do with your time, where to go… It’s cold outside and everywhere else seems to cost you money… You’ve had a mega binge over Christmas and your nutrition has finally got back on point but you’re fed up of the “healthy” options already?